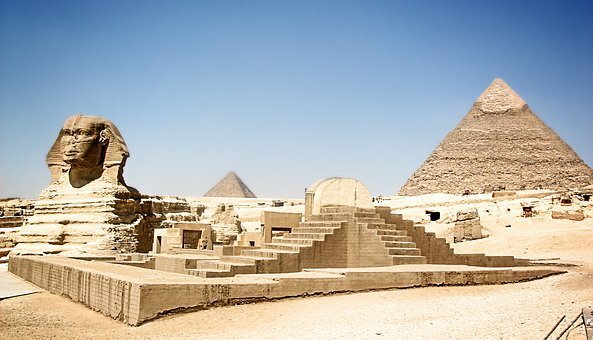 Egypt is one of the modern countries that date back to ancient times. Expects have discovered that though it was in 3800 BCE before the inhabitants of the Nile Valley started anything that looked like a cohesive civilization, the Nile Valley dates back to 6000 BCE. In the course of time, Egypt became a successful civilization before later coming down from its height. Ancient Egypt contributed a lot to the civilization of the world. In fact, in some cases, they served as the cradle of the technology. One of the major contributions of ancient Egypt to modern civilization is the art of writing. The rudiments of writing are believed to have been started by the ancient Egyptians in 3000 BC. It must be accepted that the alphabets had not yet been developed but they were able to use pictures to express what they were thinking or wanted to say. Eventually, they developed 24 alphabets which formed the basis of their writing. There was a plant that grew along the banks of the Nile River called ‘Papyrus’. The ancient Egyptians used gum to join together the leaves of this papyrus plant into a long roll. This was their paper on which they wrote. To get ink, they used juice from plants mixed with black substances found in their kitchen, such as sooth from lamps. They used the sharpened edge of a stem as pen which they dipped in their ink to write on the papyrus. The early beginnings of the modern calendar can be attributed to their ingenuity. Under the calendar they developed, the year was divided into 360 days. They then divided the 360 days into groups of 30 each and called each one “month”. Each day consisted of two halves of 12 hours so there were 24 hours in one day. This calendar was used by others, sometimes with a few little adjustments. The Egyptian calendar is not too different from what is used in the modern world today. The Egyptians made a remarkable contribution to the field of medical science. It is now a known fact that the Egyptians had acquired knowledge about a list of diseases and how they could be cured. The existence of two ancient books containing knowledge in medical science was translated by Edwin Smith confirming that medical knowledge was available in ancient Egyptian times. The land of Egypt was largely a dry land and under normal circumstances, should not have supported life. The Egyptians invented a system of irrigating the dryer areas of the region and cultivated it to produce a lot of grains to feed themselves and for exports. One major agricultural invention was the “shaduf”. This was used to scoop water from the Nile River into canals to be transported to where it was much needed for farming purposes. They were able to acquire knowledge in the art of smelting metals. This knowledge was employed in different fields, such as in the building of ships to transport goods across the Nile and on the Seas. They also employed in the area of defense. They used metals to invent chariots for transportation on land and to invent agricultural implements. The modern postal system we have today may be traced to the doorsteps of the ancient Egyptians. On an ancient Egyptian papyrus, a short message was written saying “Write me through the bearer of the letter”. With this short message, historians believe that the ancient Egyptians had by that time developed a system of sending and receiving messages from people. This can be seen as the early beginnings of the intricate postal system we have in the world today.